Is Microsoft running out of names or are they fixated on the word “Creators”? Whatever the reason is, the next Windows 10 version update (version 1803) looks like it will be called “Spring Creators Update” and will be released sometime in April 2018.
and features to Windows 10 as Windows 10 Creators Update brought with it when it as released in April 2017. We list some of the new features here, but the biggest of them is the Timeline feature. The default view of Timeline shows snapshots of the most relevant activities from earlier in the day or a specific past date. A new annotated scrollbar makes it easy to get back to past activities. It pulls in all your activities across your devices up to 30 days and allows you to pick up exactly where you left off in any app that supports it. It stores browser history, opened documents, locations visited in the Maps app, articles read in the News app, and more. Fonts are moving from Control Panel to Settings. You’ll also be able to get new fonts from the Microsoft store . Control Panel’s font settings have not been able to show off newer font capabilities, such as color fonts or variable fonts. Microsoft thought Windows users needed a refresh. Actually, Microsoft seems bent on getting rid of the Control Panel and in Windows 10 Spring Creators Update they continue to move things out of Control Panel and into settings. In Microsoft’s continuing attempts to make it easier to work and share across different devices they’ve come up with Cloud Clipboard. Cloud Clipboard allows users to copy images, text, documents, links, etc. between Windows 10 PCs and Android and Apple Phones. In one early version, Windows Key + V brings up the Cloud Clipboard. Windows 10 Spring Creators Update will reveal the “Reveal effect”. In this new version of Windows, the apps on your start menu will glow and borders will be highlighted when the cursor moves over them. The Reveal effect will be used on other features like the Calendar fly-out. Above: The “Reveal effect” on apps menu. The Settings app in Windows 10 Spring Creators Update features a new page to turn on and off apps that load at startup, Sounds will also be moved from Control Panel to Settings. In Windows 10 Spring Creators Update, you’ll be able to access settings for a particular app by right-clicking on its live tile. In other browsers, like Chrome and Firefox users have been able to mute tabs for quite some time. Microsoft Edge catches up. In Spring Creators Update Microsoft Edge will get the mute tab feature. Microsoft Edge will have a new feature that will allow you to print web pages more cleanly without ads and other clutter. Microsoft Edge in Spring Creators Update will offer you the option to enable the “Clutter-free printing” option in the print dialog – you can choose to print only the web page content you want. This option will be available for certain kinds of web pages. There are a lot more feature updates and operating system changes coming and we’ll feature them as we get closer to the release date of Windows 10 Spring Creators update. All features seem certain to be included in Windows 10’s next version update… but we have to make mention that, until Windows 10 Spring Creators Update is released, everything – including its name – is subject to change without notice. We will keep you updated. What are your thought’s about Windows 10 Spring Creators Update coming in April 2018? Take our poll! Bah! Humbug! Leave me alone. I am looking forward to this update but I want to see what Cloudeight says. I trust you all. Not sure until I actually use and see all new changes in action! 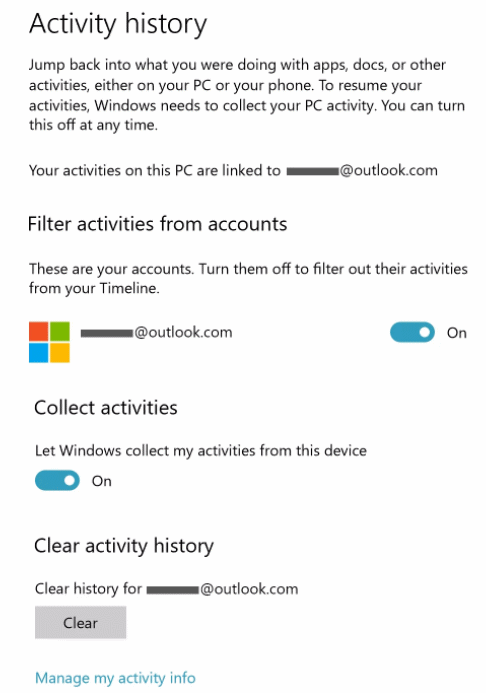 If I don’t like any or all of them, will MS allow me to “go back” to before the update?? Why do the remove programs that we like to use on a regular basis such as movie maker windows essential and outlook express? Wish I had kept windows 7.